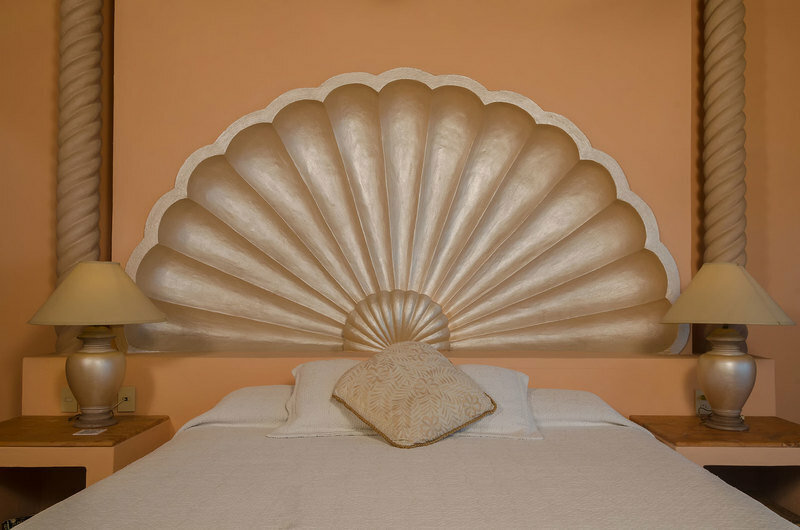 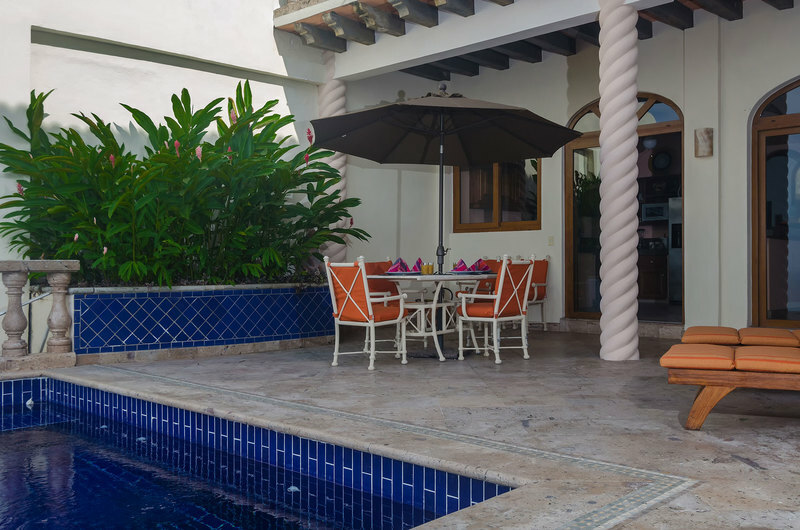 Villa Sirena is a contemporary 5-bedroom luxury villa with an elegant, yet understated décor. 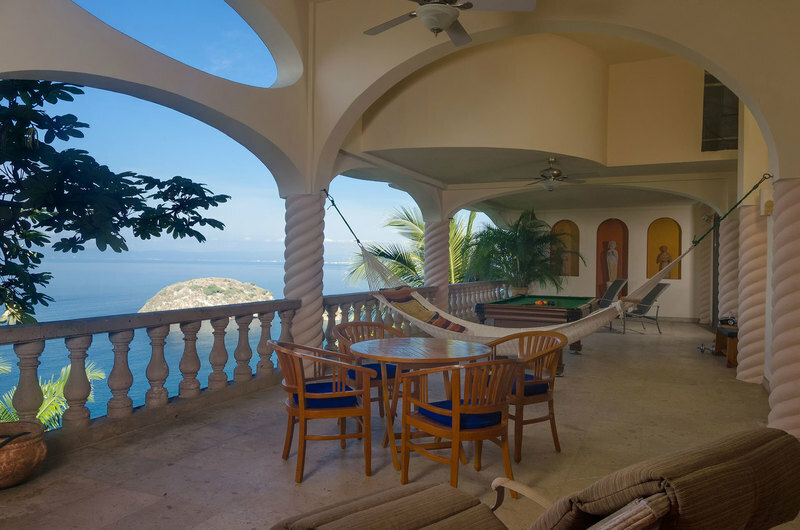 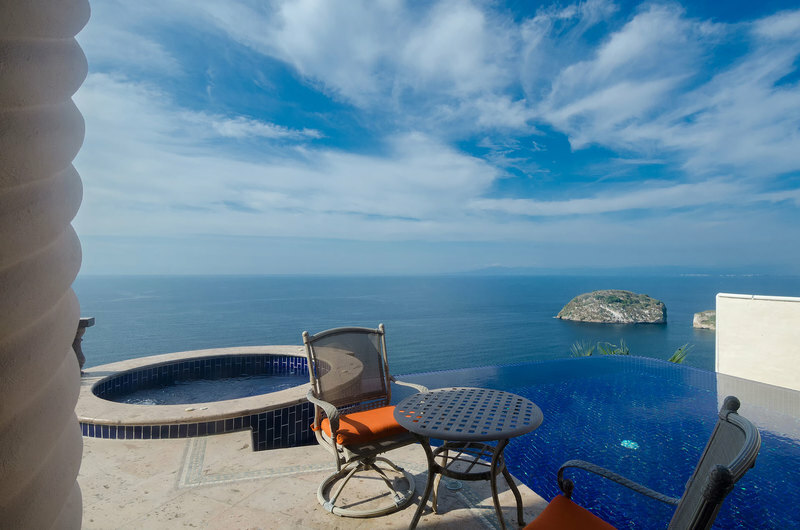 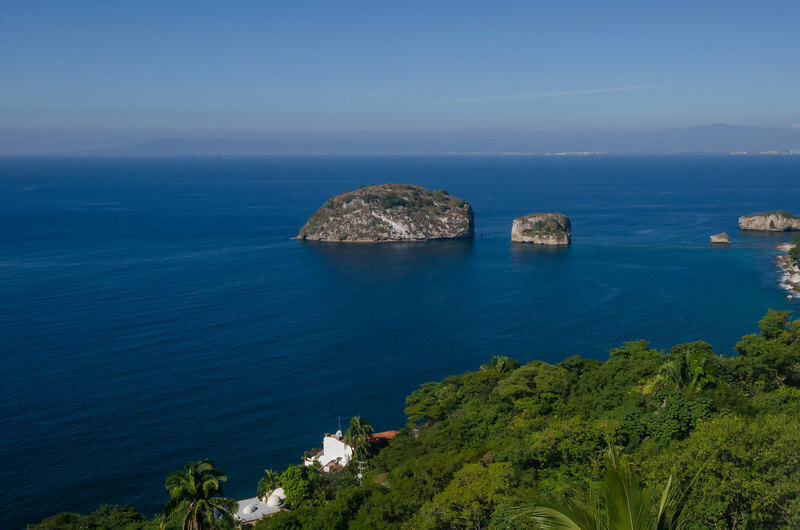 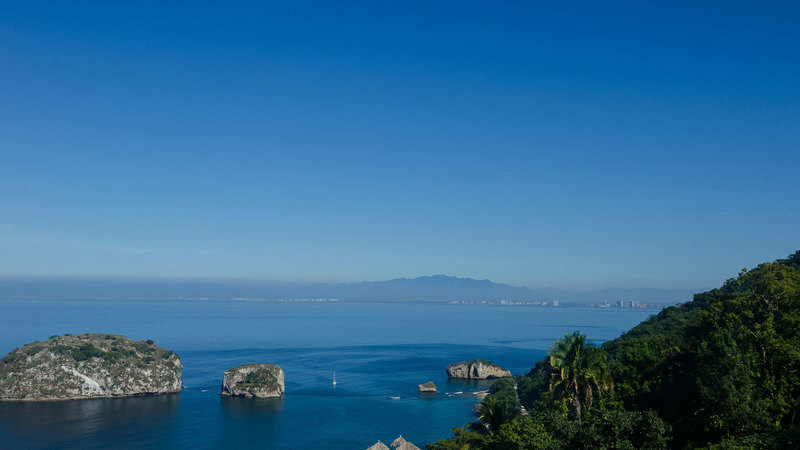 It is located on Mismaloya hillside and has breathtaking, panoramic views of the Bay of Banderas and Los Arcos. 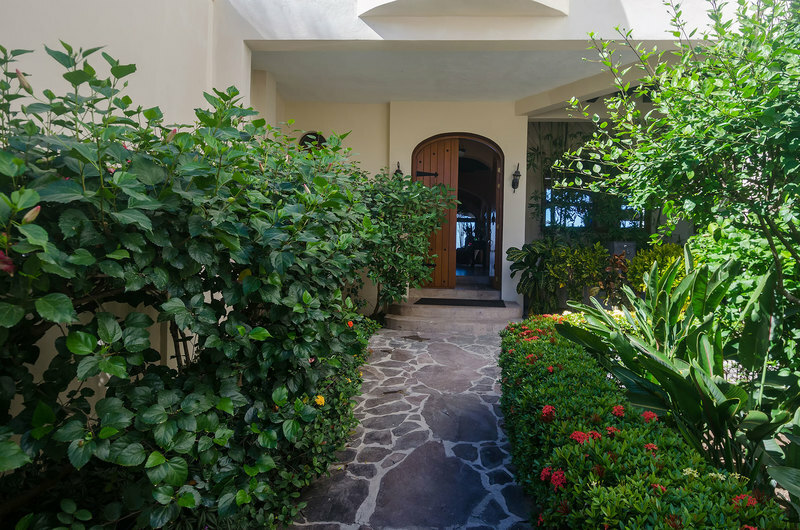 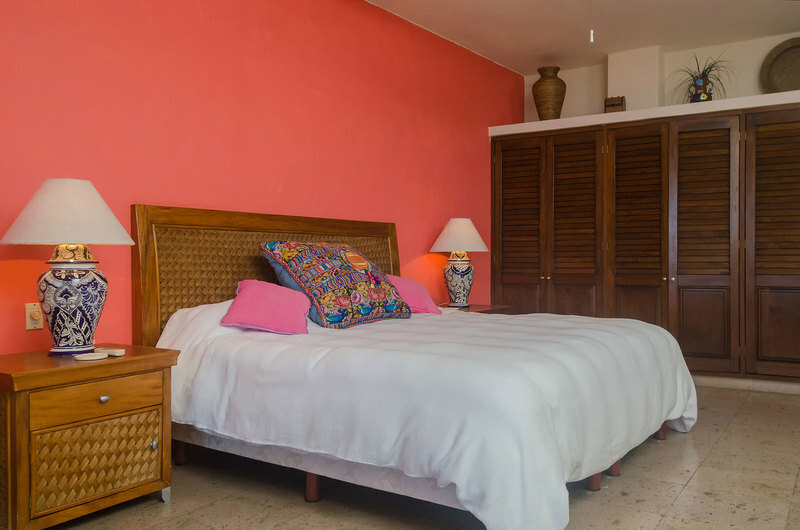 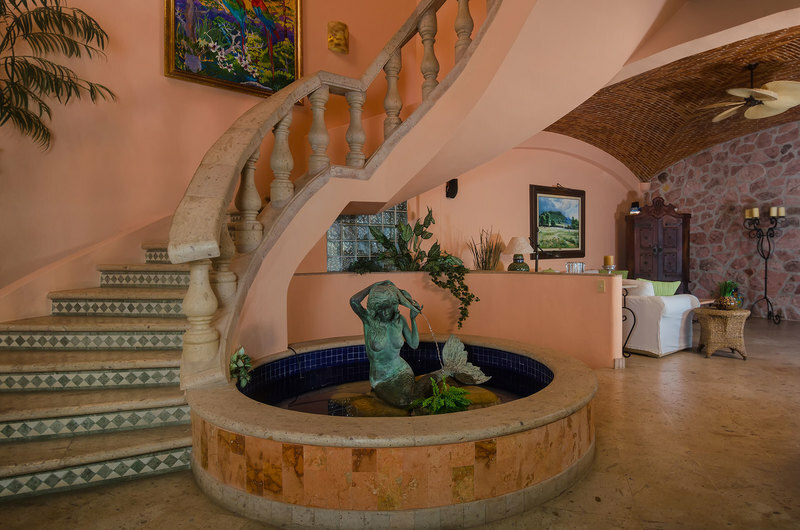 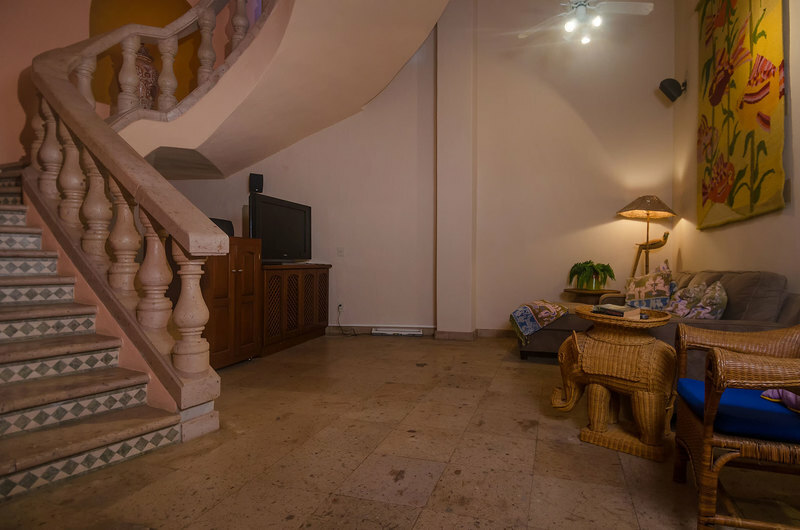 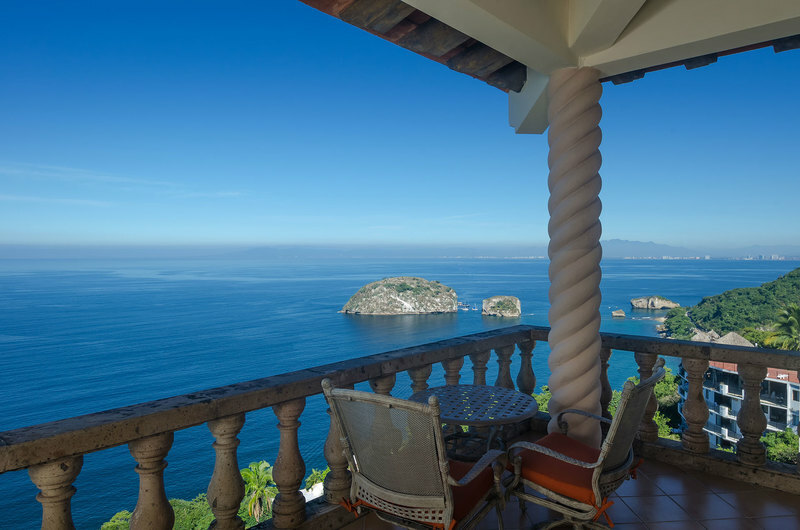 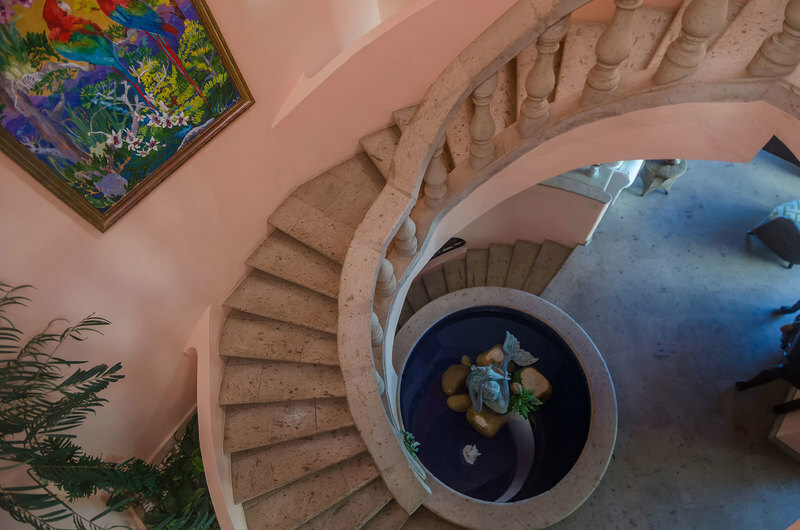 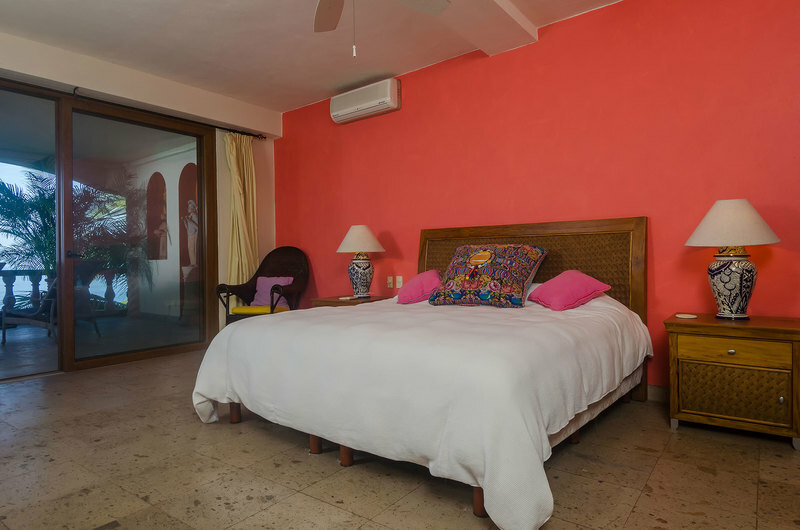 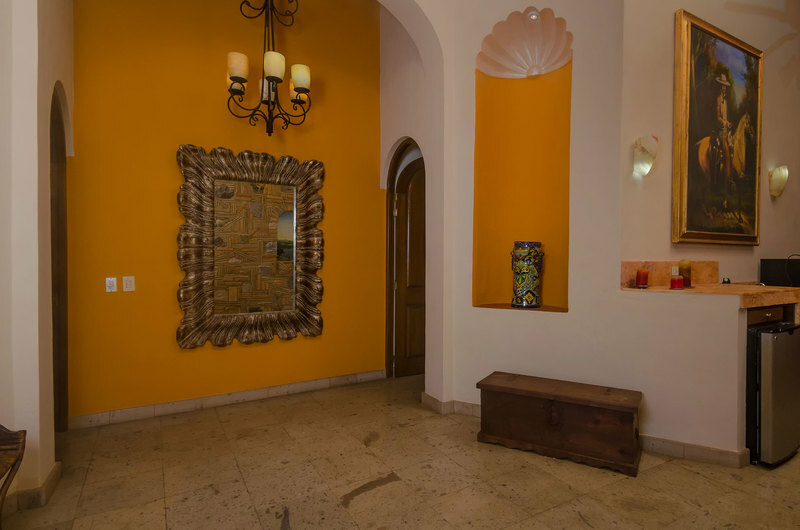 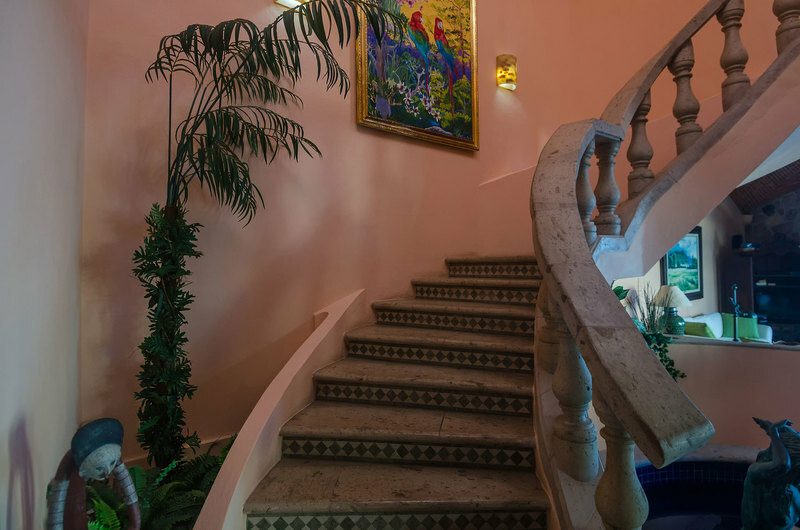 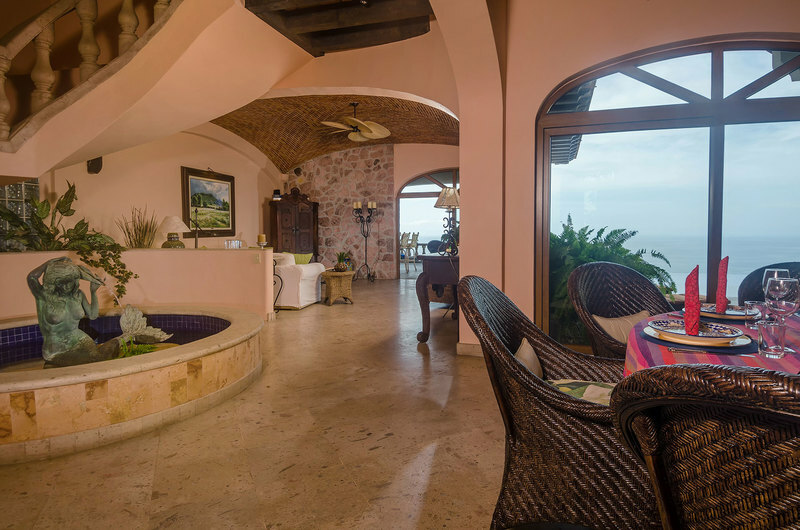 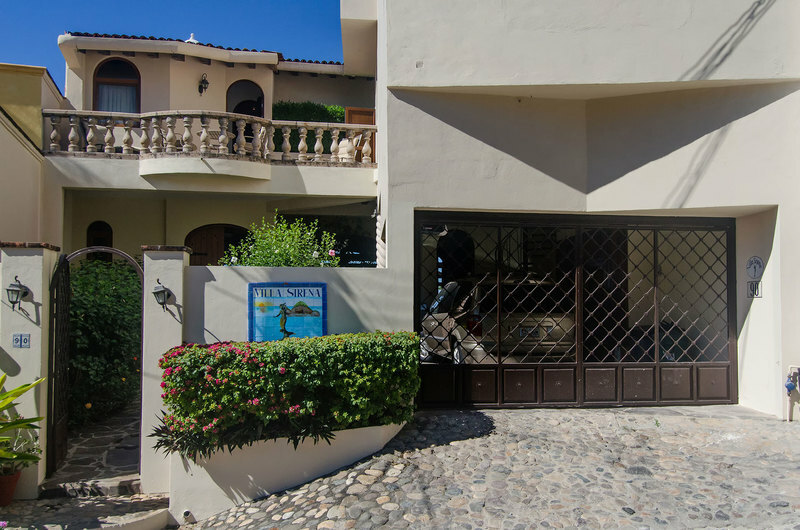 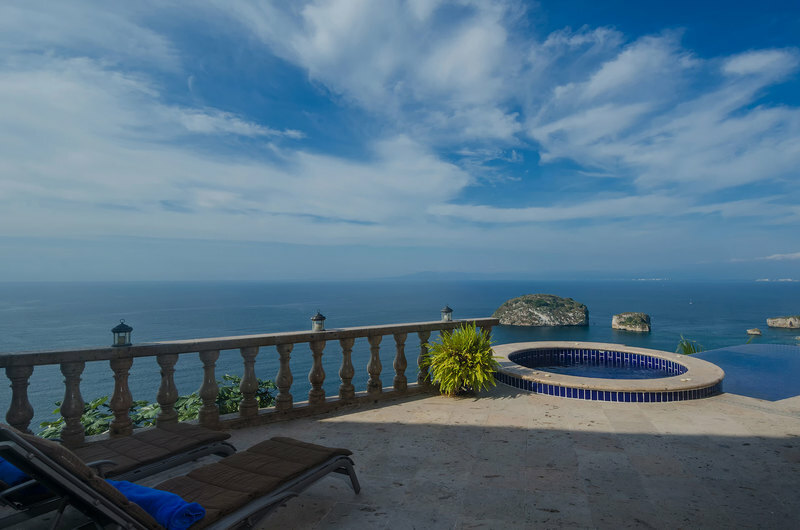 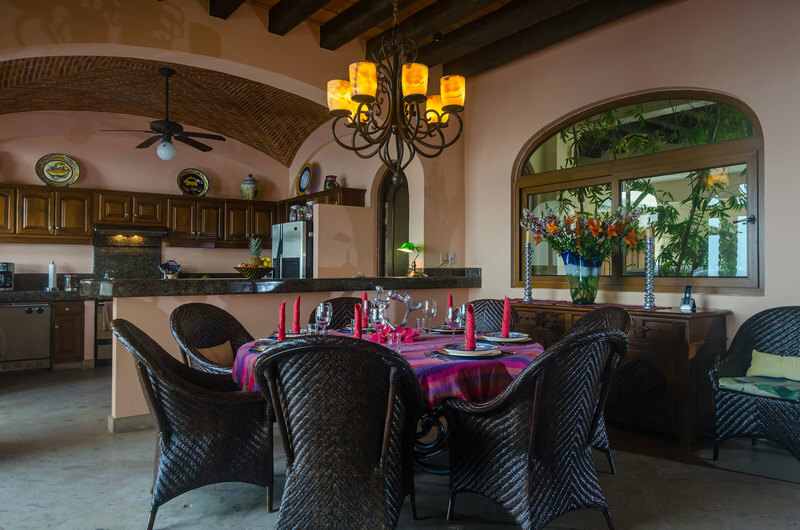 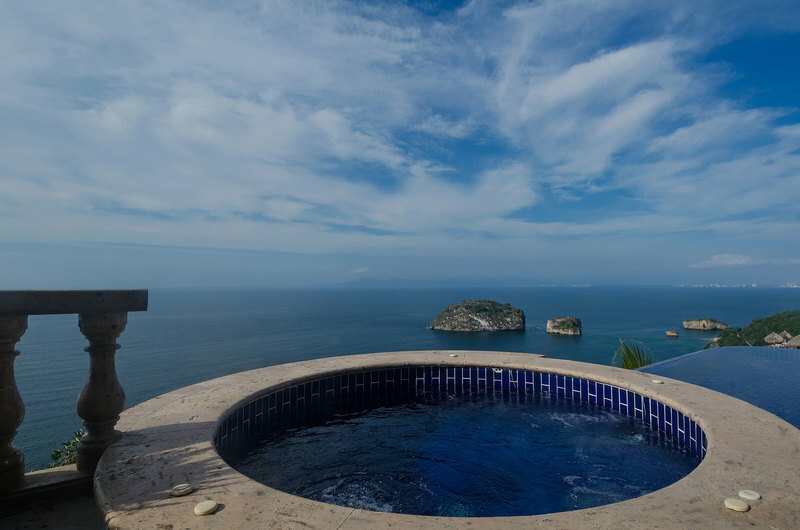 Enter into the foyer, which leads to the main level of the villa and features the living/dining areas, and the terrace with your private, heated pool and Jacuzzi, all over-looking Banderas Bay. 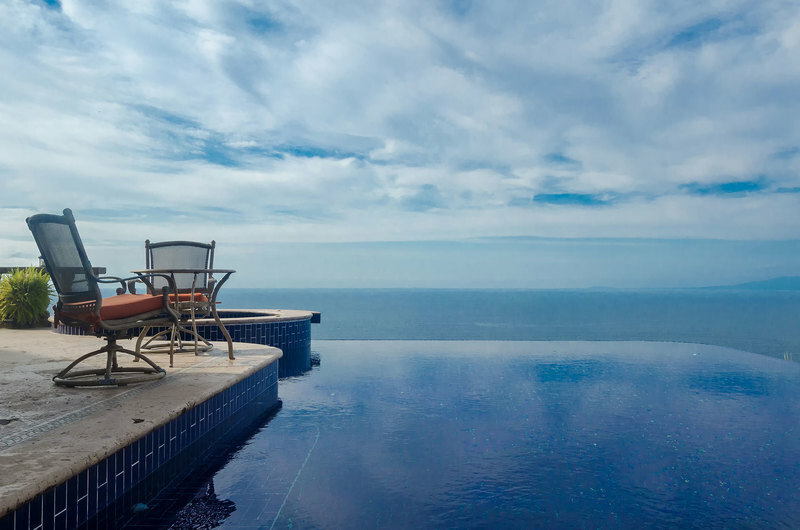 Relax in the heated infinity pool or Jacuzzi during the afternoon and in the evening sip your favorite cocktail while you enjoy the magnificent Puerto Vallarta sunsets across the bay. 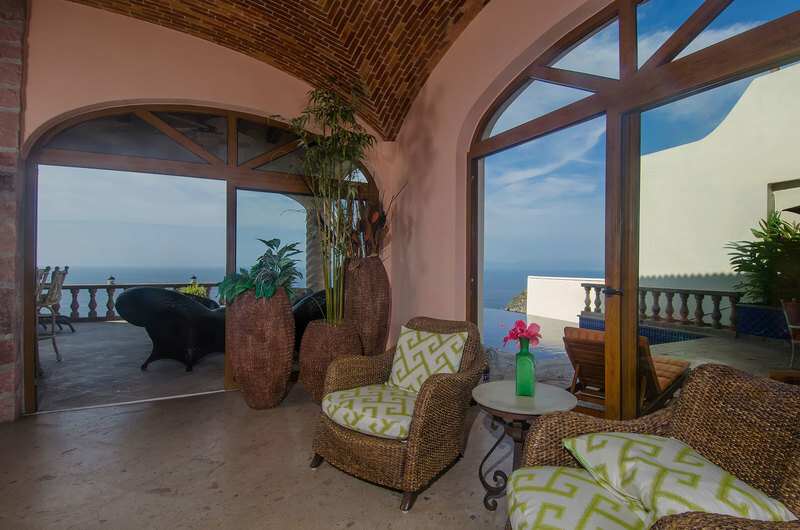 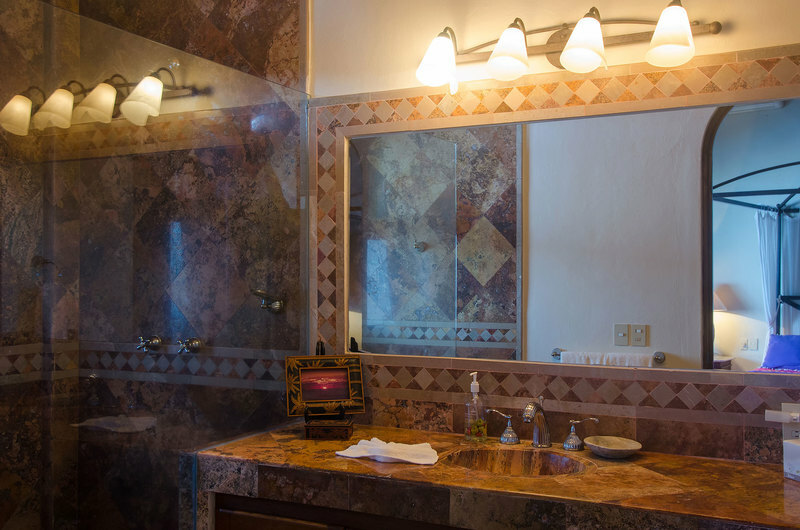 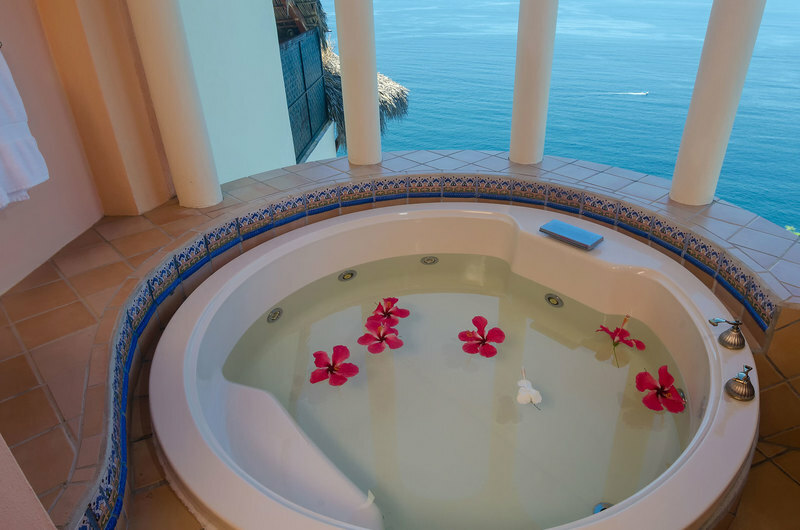 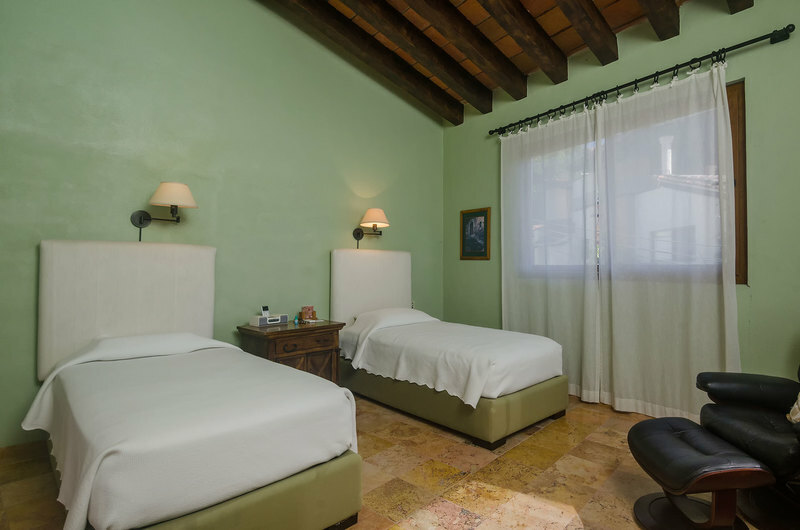 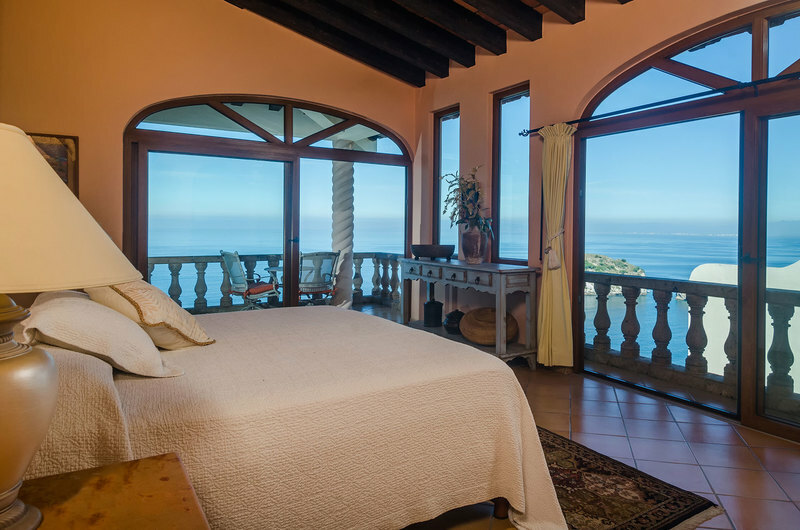 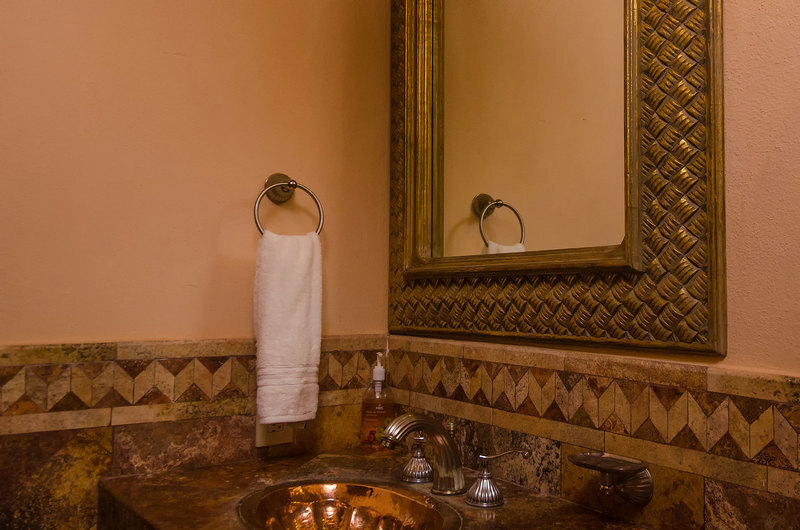 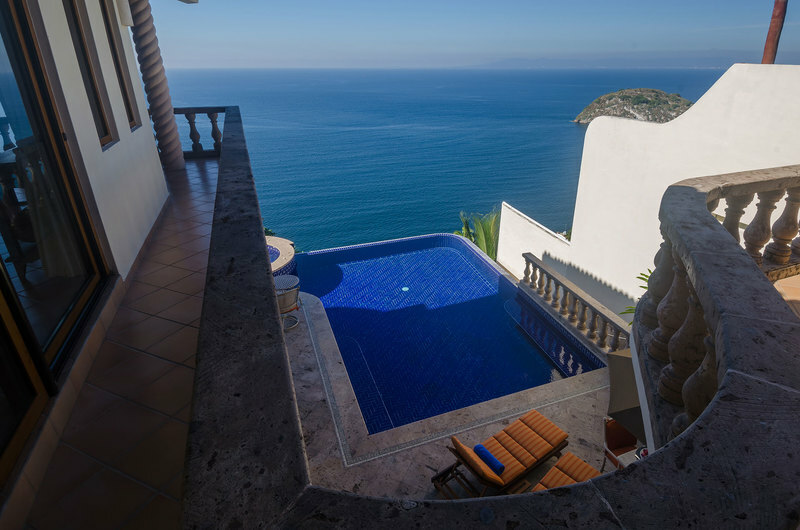 The upper level of this Mexican villa features two spacious master suites, each with private en-suite bath. 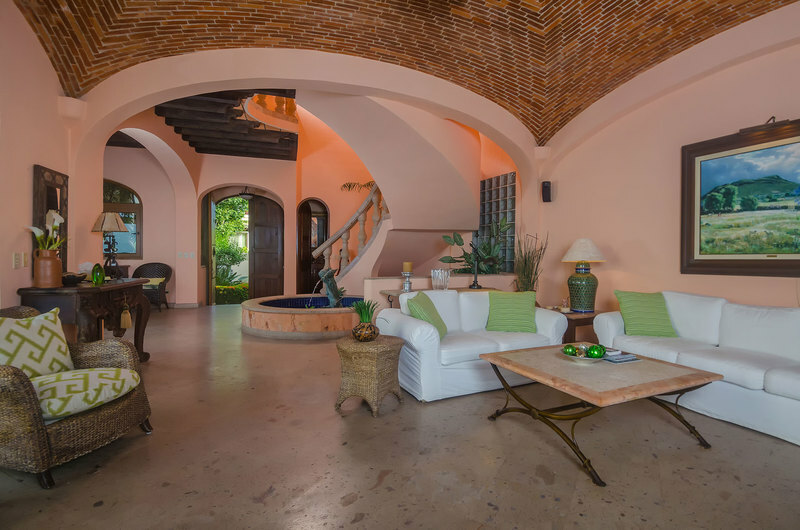 This upper level also features the fifth bedroom apartment, with its own kitchen, bath and rooftop deck with panoramic views. 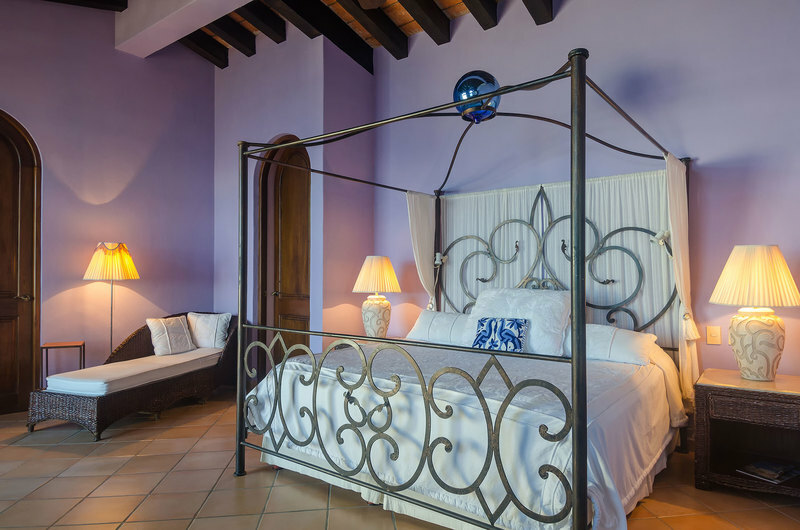 The lower level has two additional junior suites with private en-suite baths and leading out onto the large 80 ft. terrace. 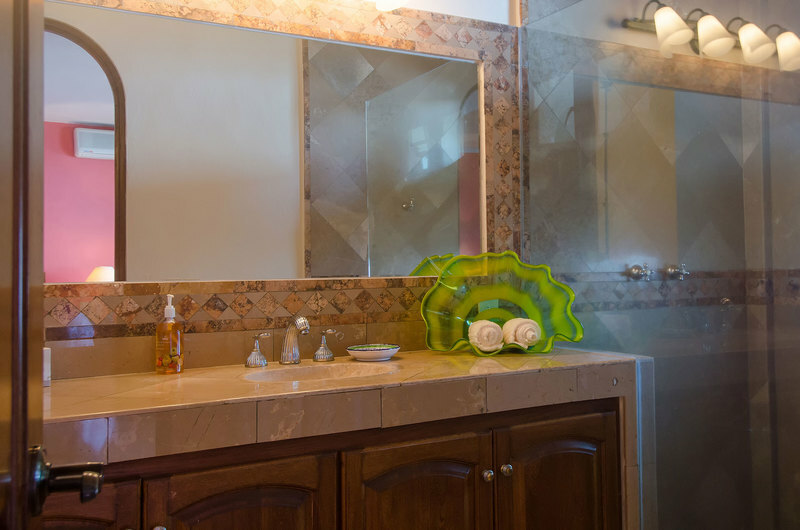 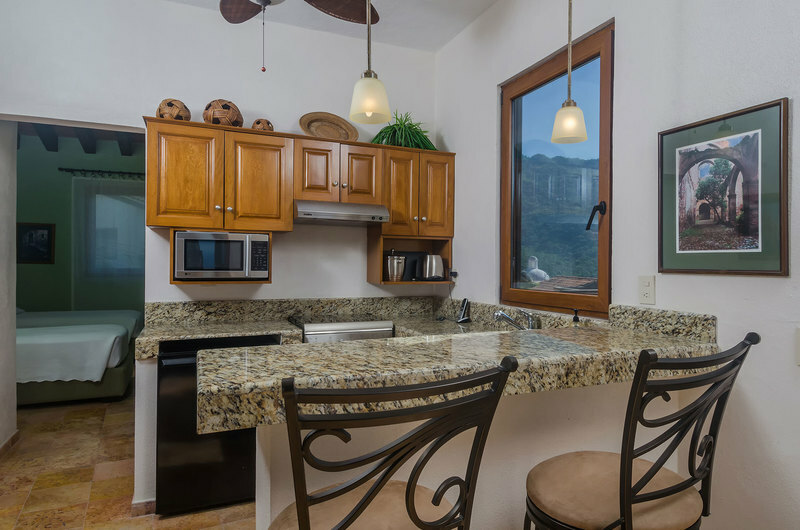 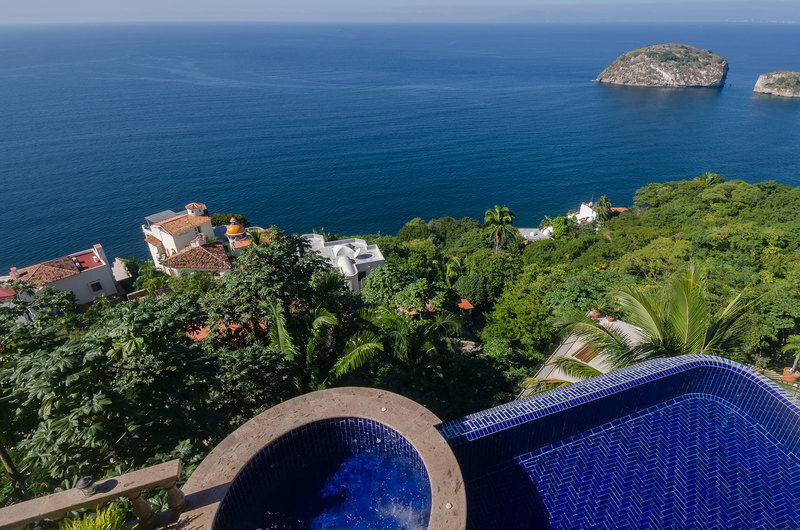 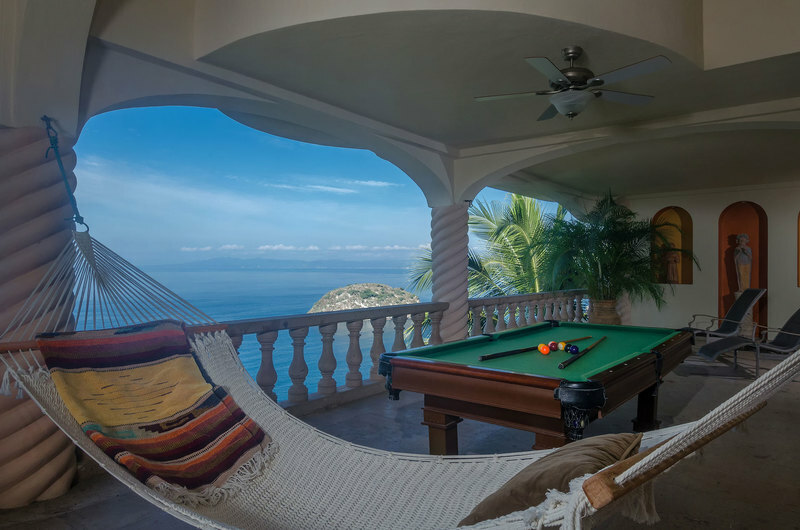 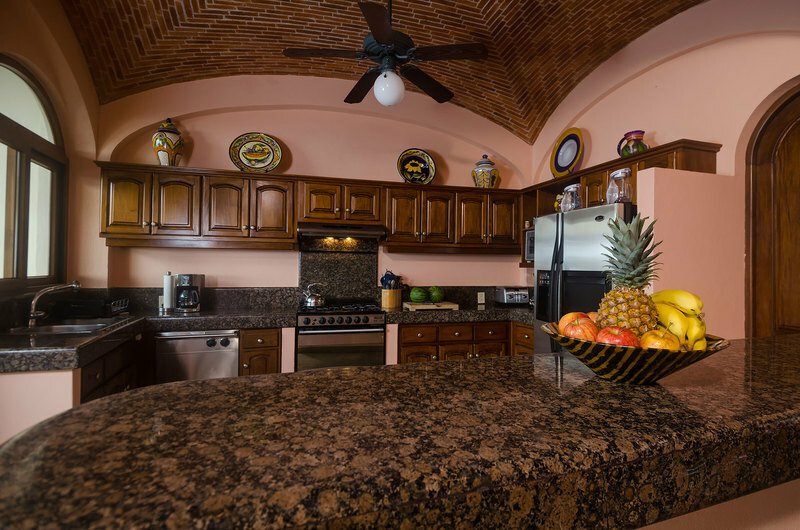 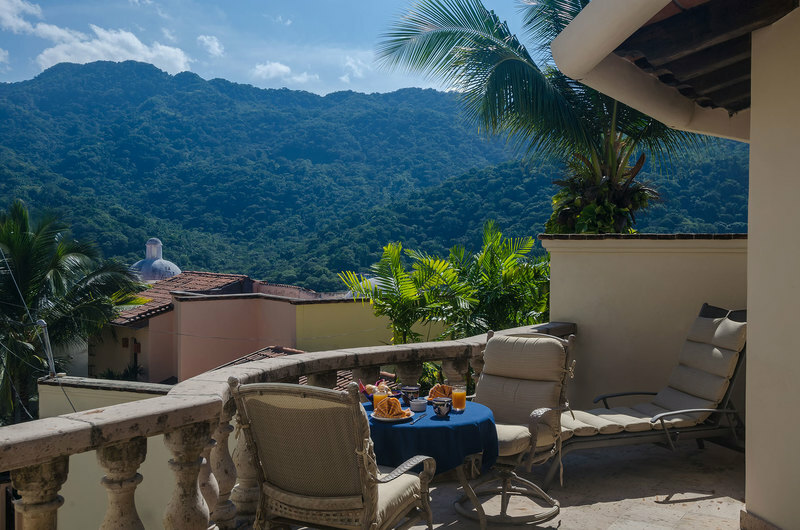 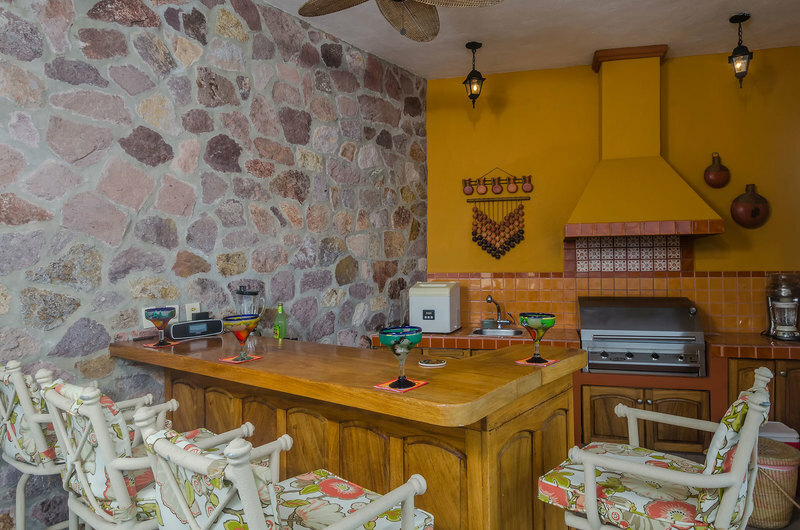 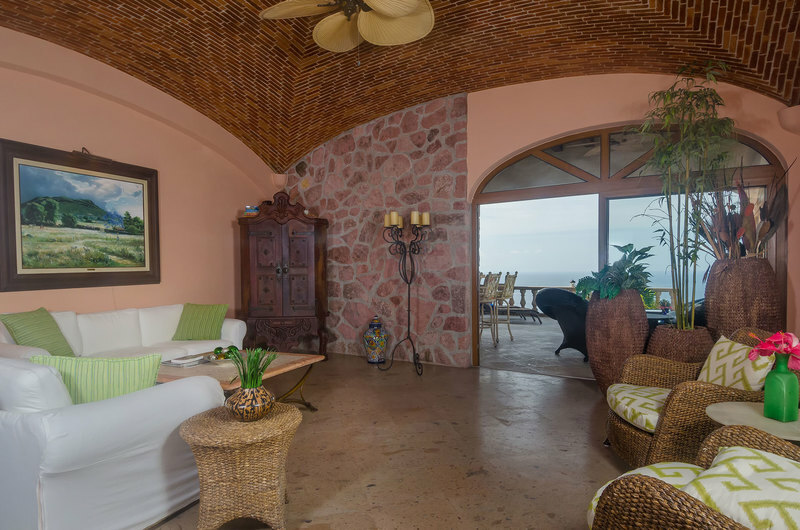 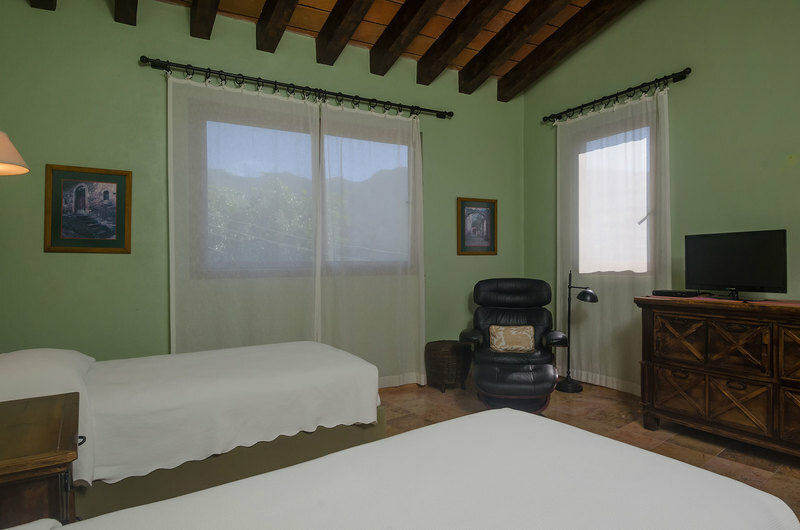 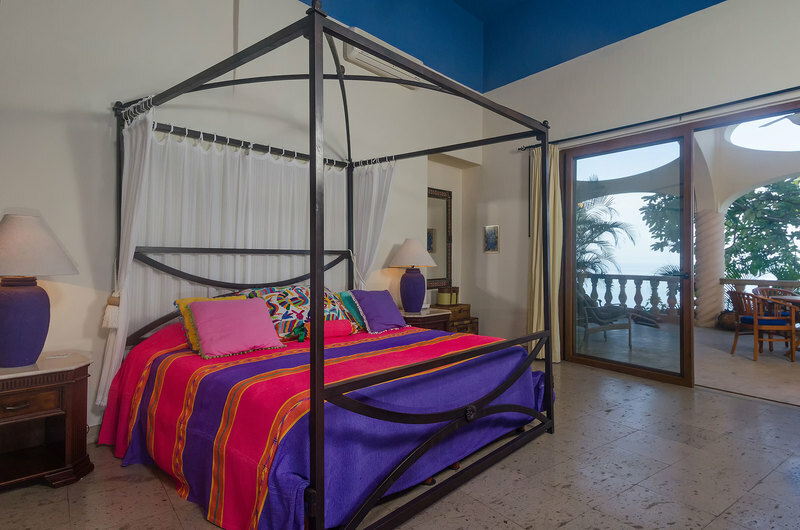 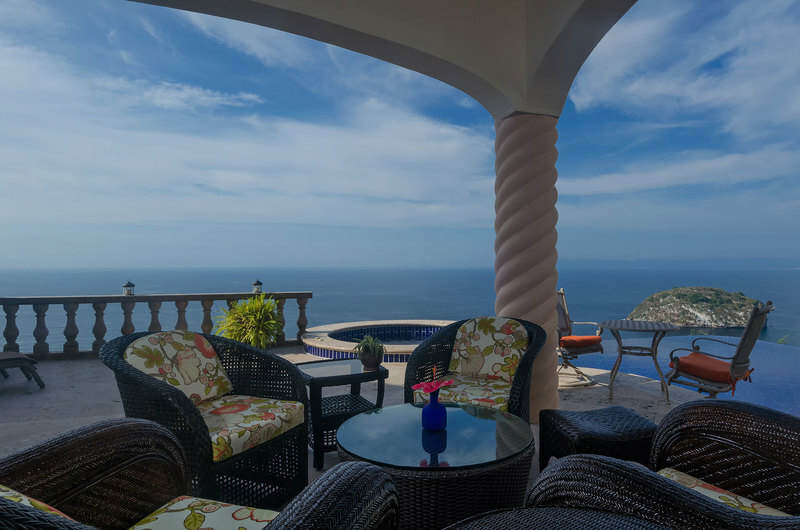 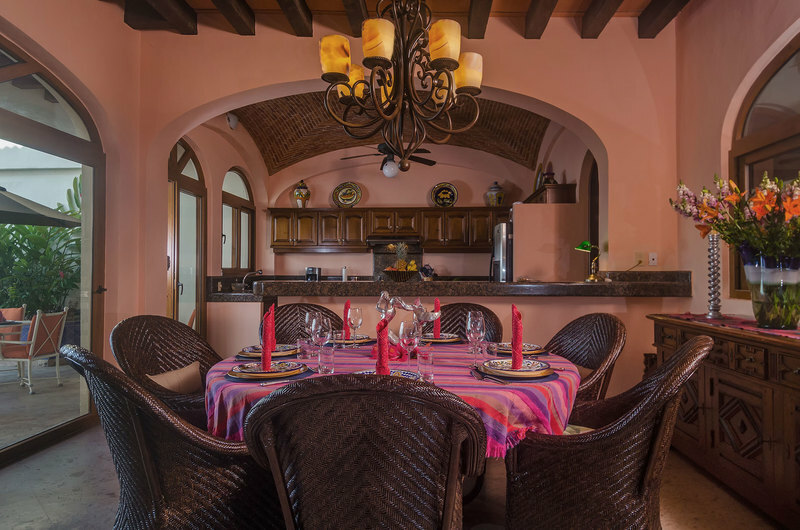 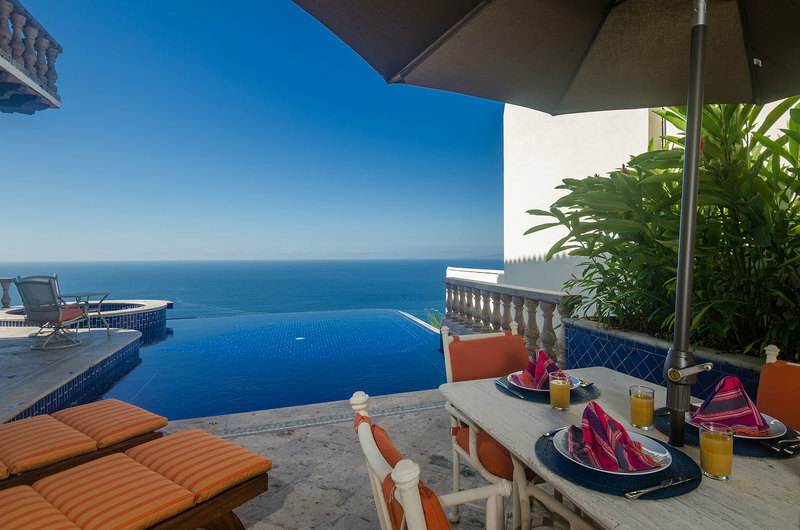 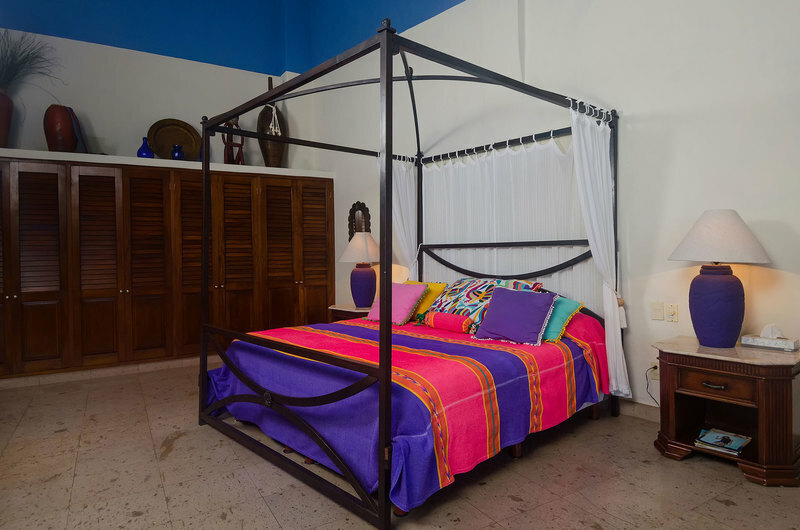 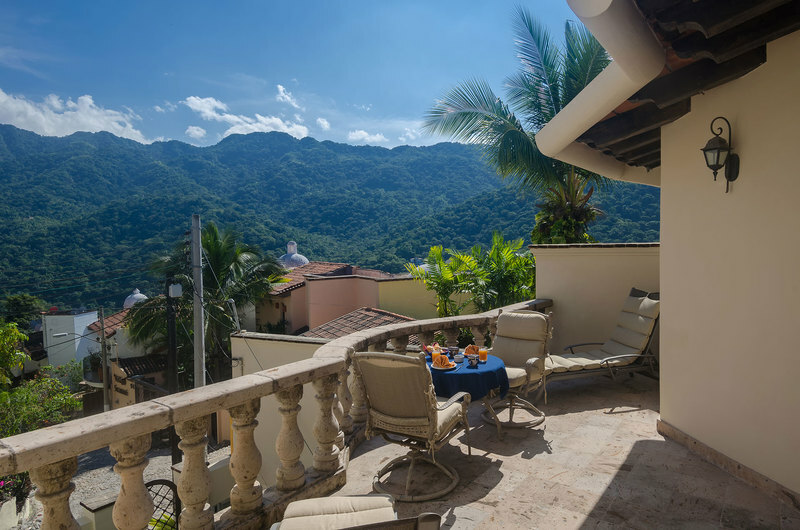 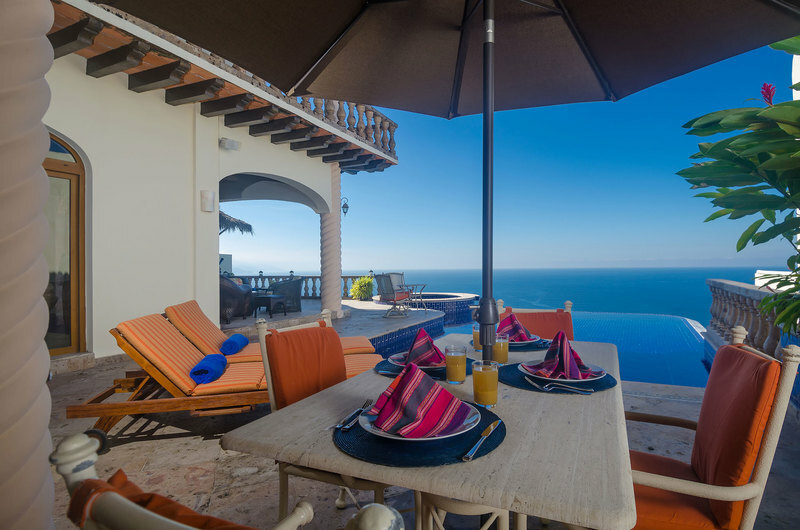 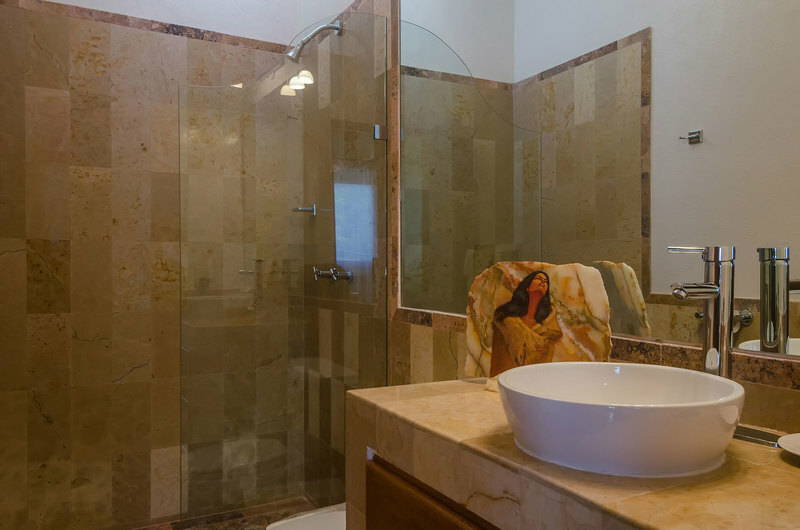 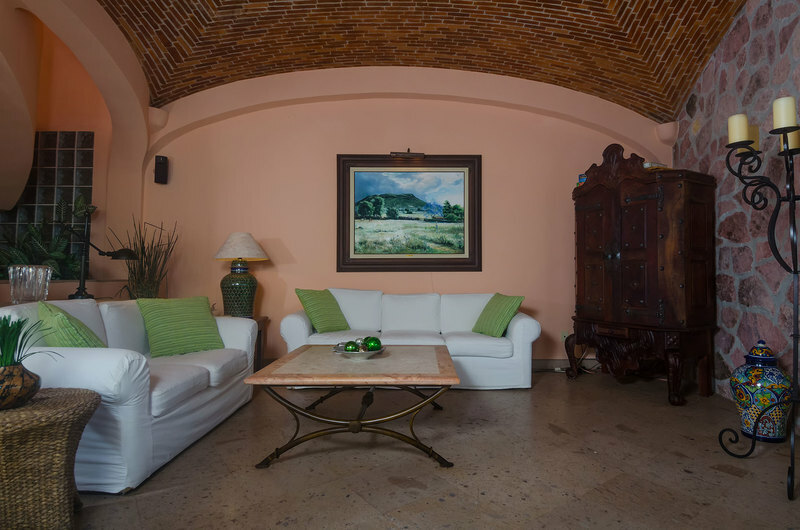 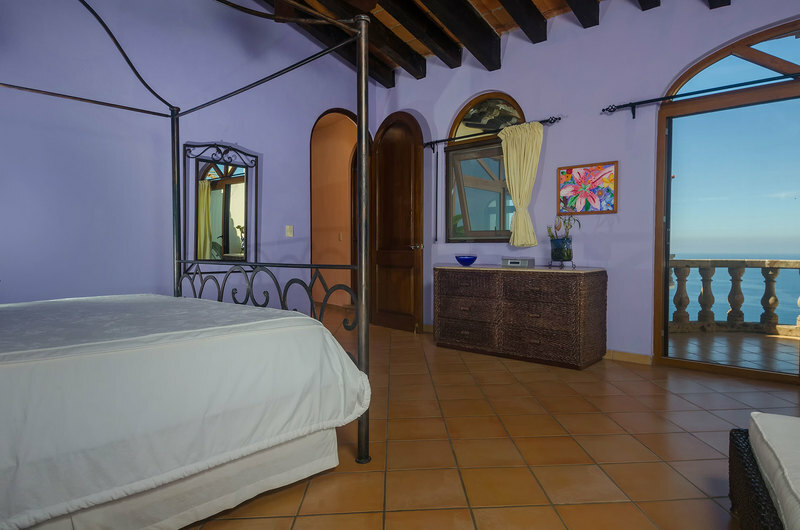 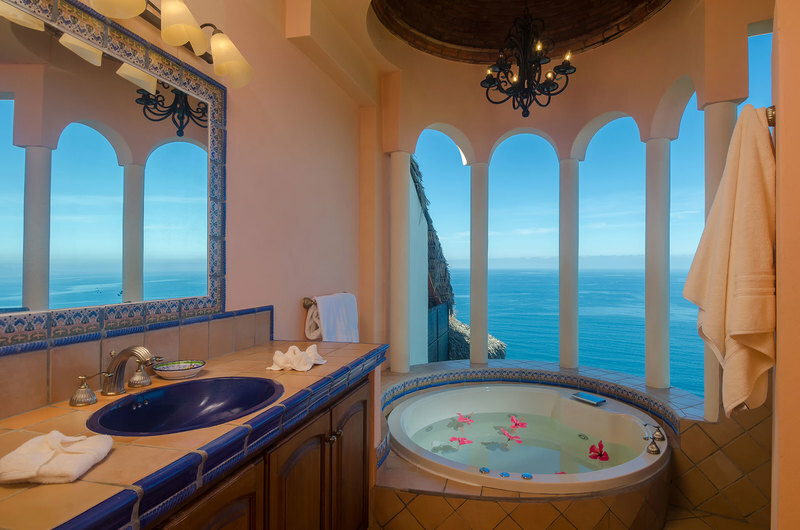 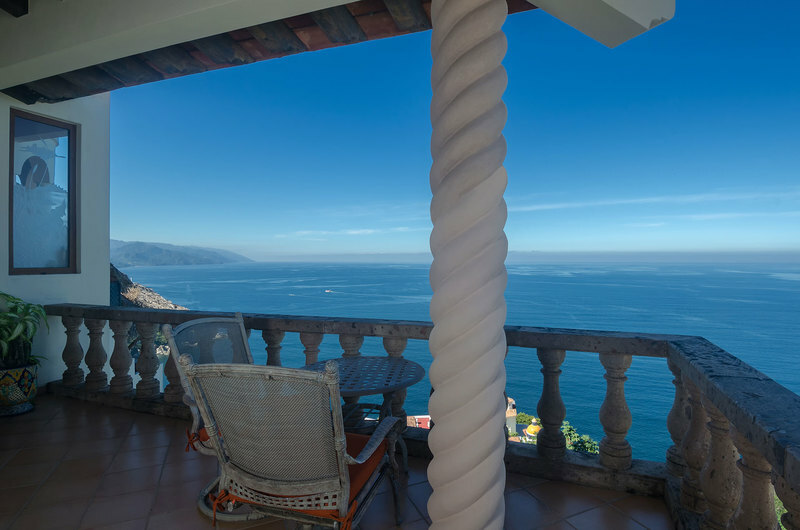 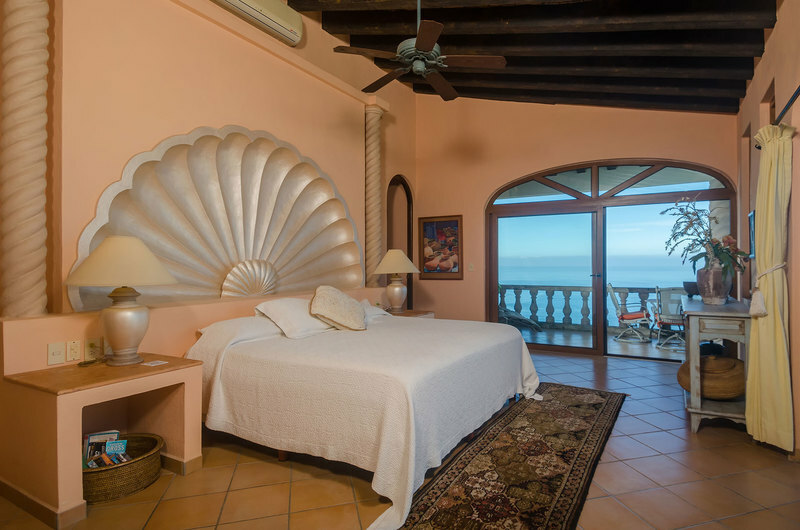 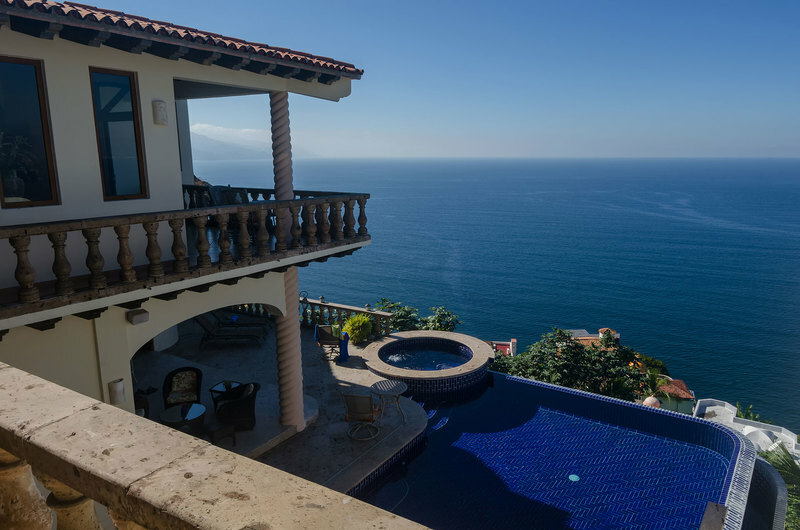 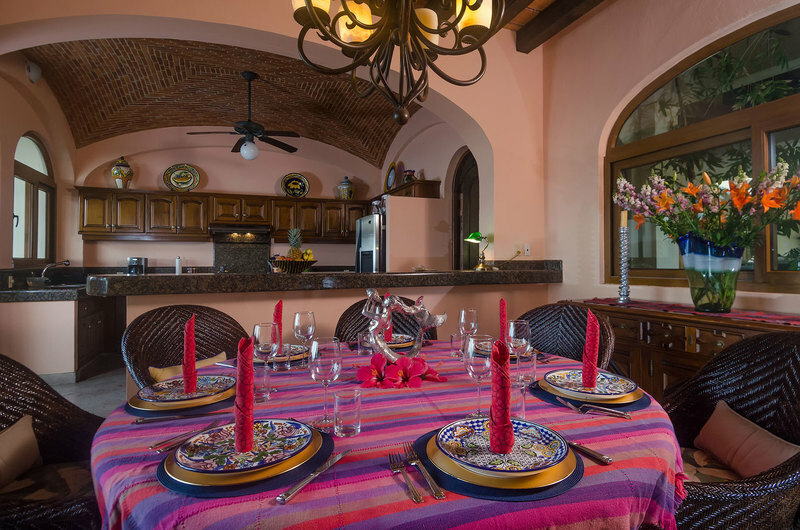 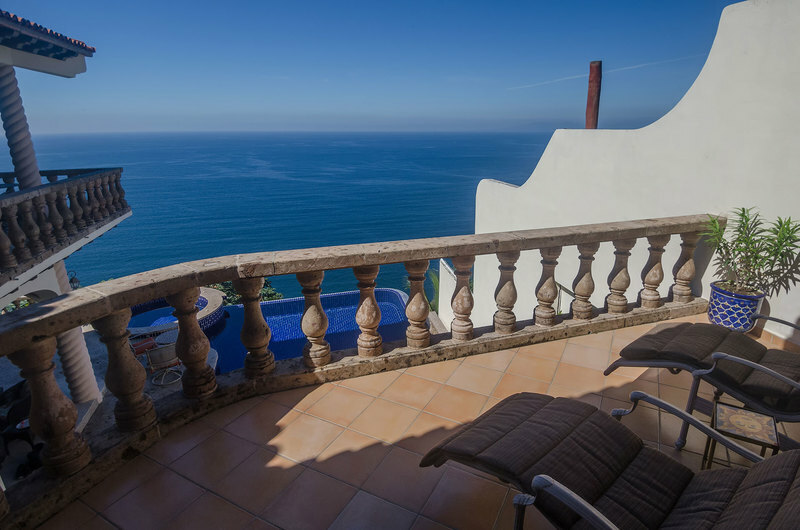 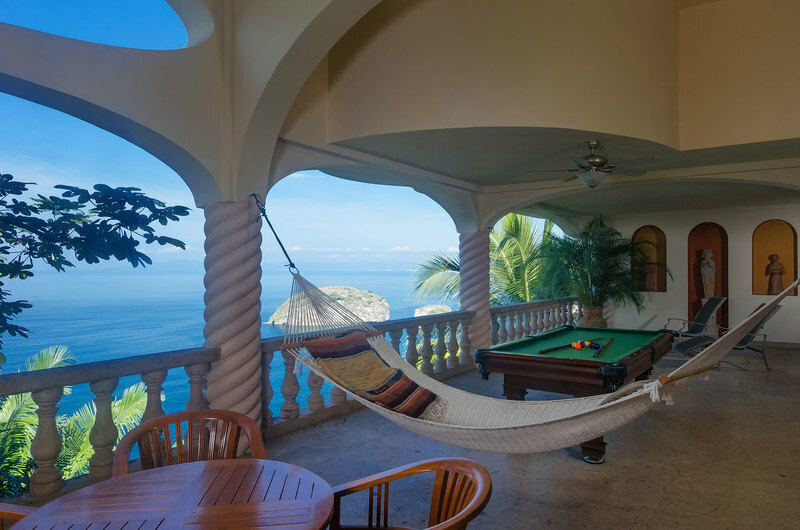 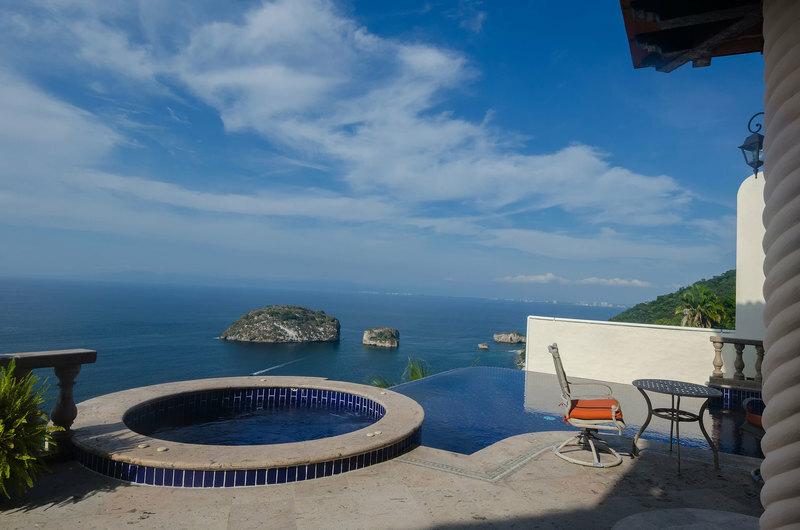 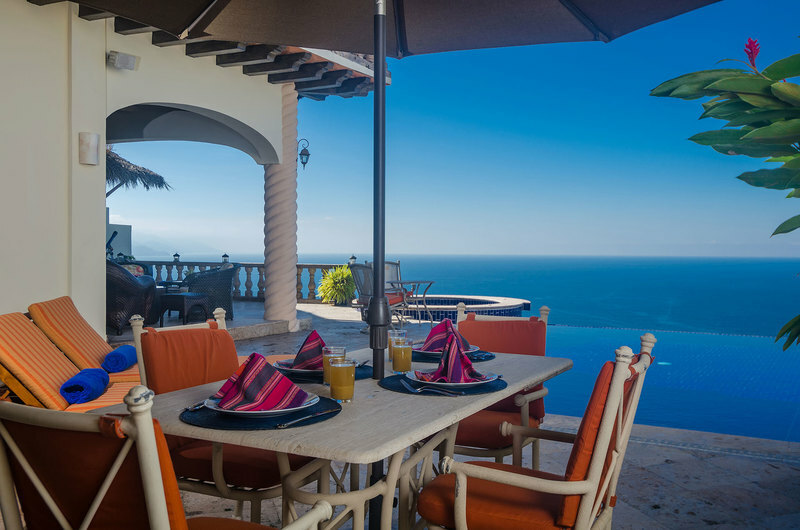 Let the staff of three pamper you while you enjoy the Magic of Puerto Vallarta in this luxury Mexican villa rental.